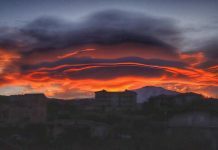 If you’ve been reading Strange Sounds for a long time, you had probably already seen all kind of amazing cloud formations looking like dragons, dogs and fluffy balls. Such a phenomenon is known as cloud iridescence. Cloud iridescence is the occurrence of colors in a cloud similar to those seen in oil films on puddles, and is similar to irisation. 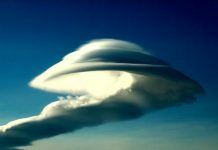 It is a fairly uncommon phenomenon, most often observed in altocumulus, cirrocumulus, lenticular clouds and cirrus clouds. The colors are usually pastel, but can be very vivid. 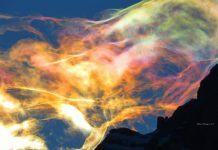 Iridescent clouds are a diffraction phenomenon caused by small water droplets or small ice crystals individually scattering light. Larger ice crystals produce halos. Just to crazy to be a natural cloud! 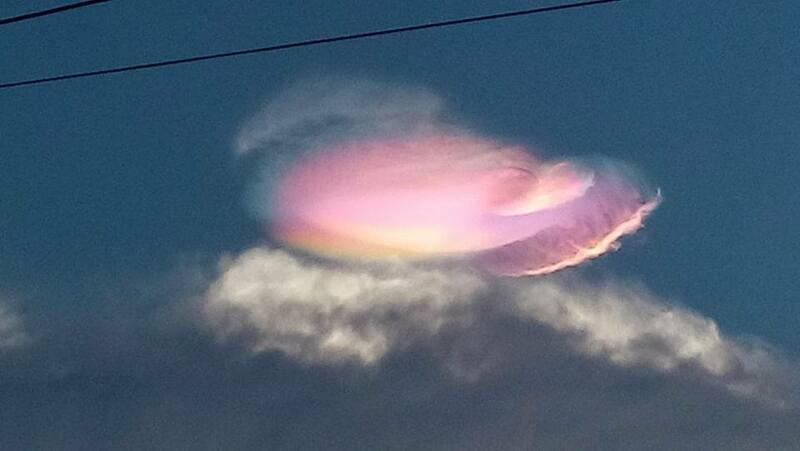 Ball cloud in Japan, colorful disc cloud in Brazil… that`s really something. And both occured the same day! Very interesting. Some phenomena are complex I see.